The 4th Annual Diocesan Altar Servers Retreat was held at Saint Basil Academy in Garrison NY from 14 February (Friday) to 16 February (Sunday) 2014. Over 45 participants were present for all or part of the weekend. 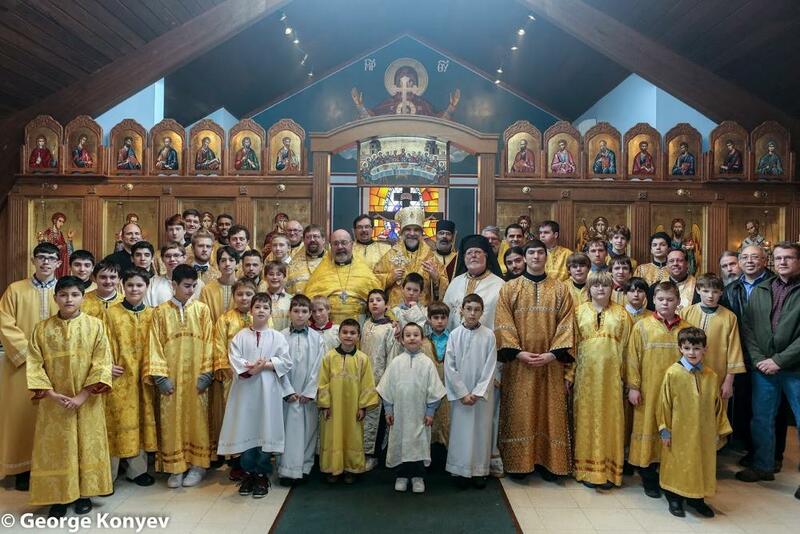 Altar servers and clergy came from each of the three deaneries -- New York City, New Jersey, New York State -- as well as from the Moscow Patriarchate and Carpatho-Russian Diocese. Bishop Michael led the retreat together with four Priests, two Deacons, a Sub-deacon and Reader.